Hammerson is committed to supporting employees in serving their local community through volunteering, and in taking action to become more sustainable. Since 2013, Hammerson has provided at least 3 days of paid volunteering to all employees. We aim to deliver innovative volunteering programmes that will positively benefit local communities whilst providing benefits to both employees and the business. 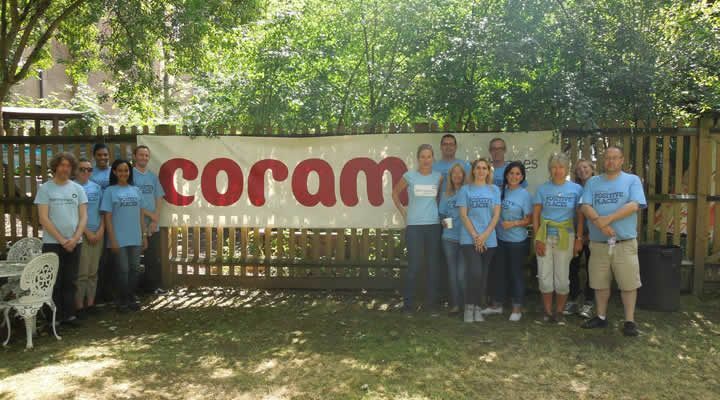 We have been running Community Day, where all employees are encouraged to volunteer in their local communities on the same day, for over 6 years. In addition to Community Day, our volunteering policy entitles staff to 15 hours, equivalent to two paid working days, that can be used throughout the year for other volunteering based activities. Take up of volunteering is good, with 34% of the volunteer days available taken. However, in 2015 we were looking to increase this. We teamed up with Coriander Cows to utilise the The Butterfly Bank engagement platform. The platform enables us to promote, track and reward both volunteering opportunities and sustainable behaviours. We are able to track and report on all activities taken which has the additional benefit to Hammerson of being able to measure success accurately. This insight also means we are able to recognise and reward staff for their involvement and give feedback to our charity partners and employees about cumulative impact and favoured opportunities. In 2018, 63,748 individual sustainable actions and 3,734 hours of volunteering were recorded by 368 Hammerson employees.